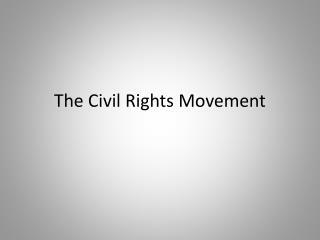 Civil Rights Movement . 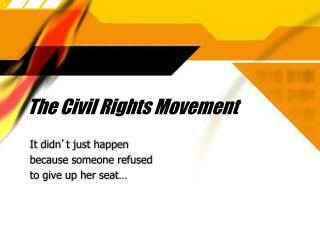 in an Uncivil Society. 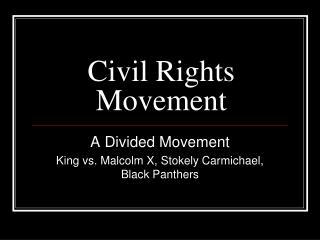 The struggle for the civil rights of Black Americans began long before what we usually consider the modern Civil Rights Movement. 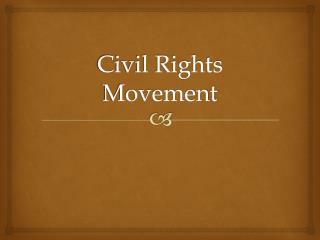 The struggle for the civil rights of Black Americans began long before what we usually consider the modern Civil Rights Movement. 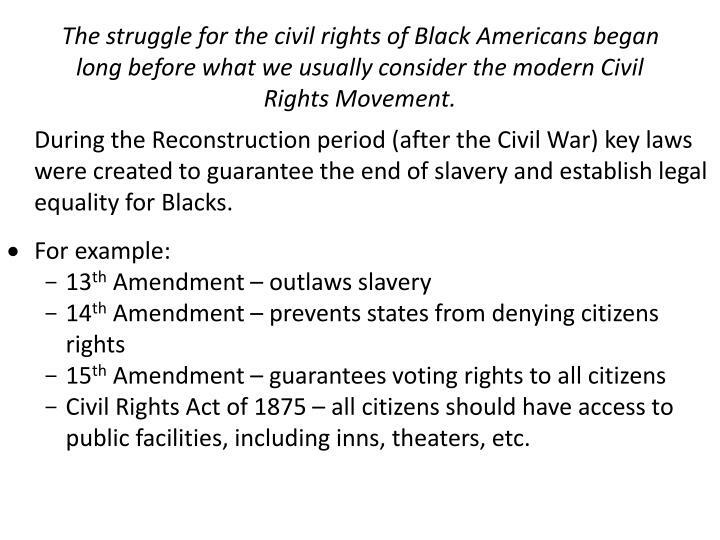 During the Reconstruction period (after the Civil War) key laws were created to guarantee the end of slavery and establish legal equality for Blacks. 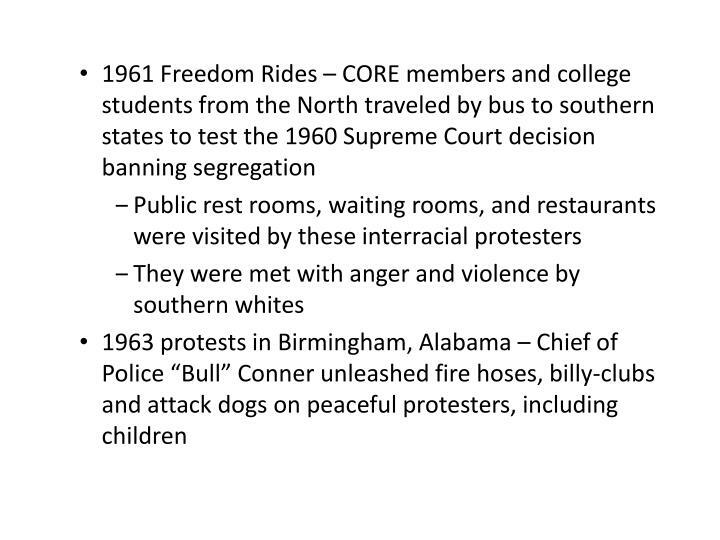 Civil Rights Act of 1875 – all citizens should have access to public facilities, including inns, theaters, etc. 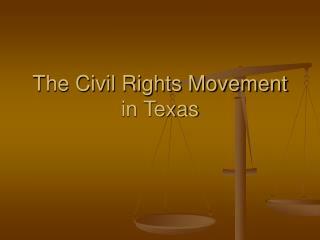 However, the Supreme Court made 2 decisions that quickly deteriorated the impact of these laws. 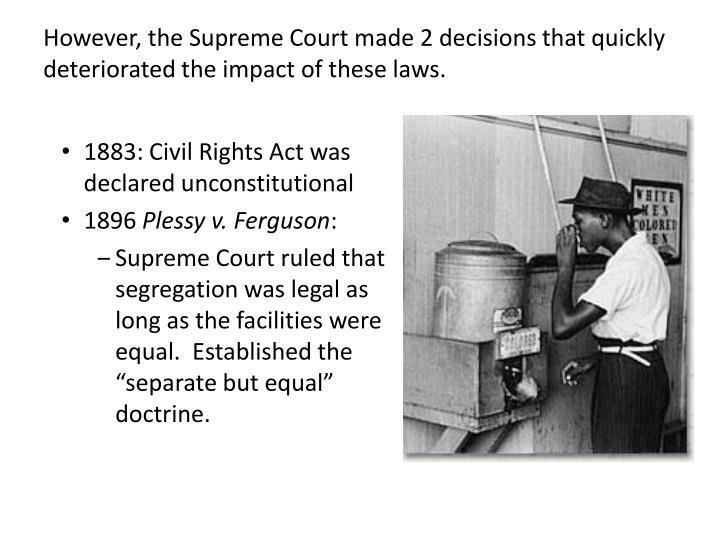 Supreme Court ruled that segregation was legal as long as the facilities were equal. 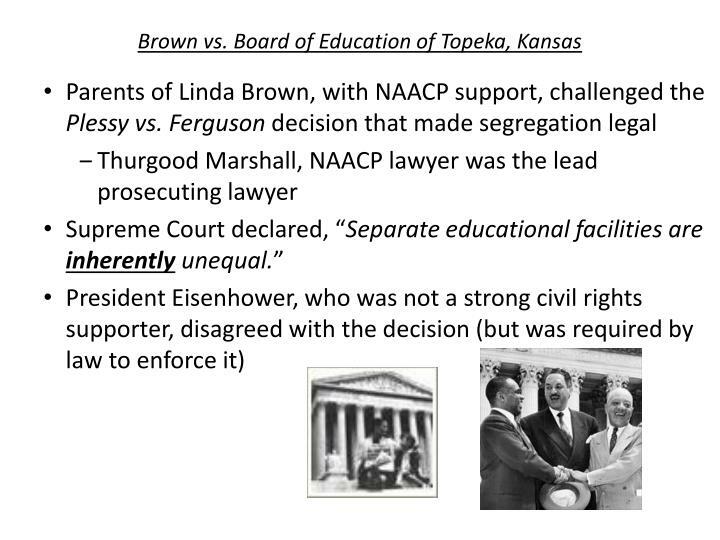 Established the “separate but equal” doctrine. 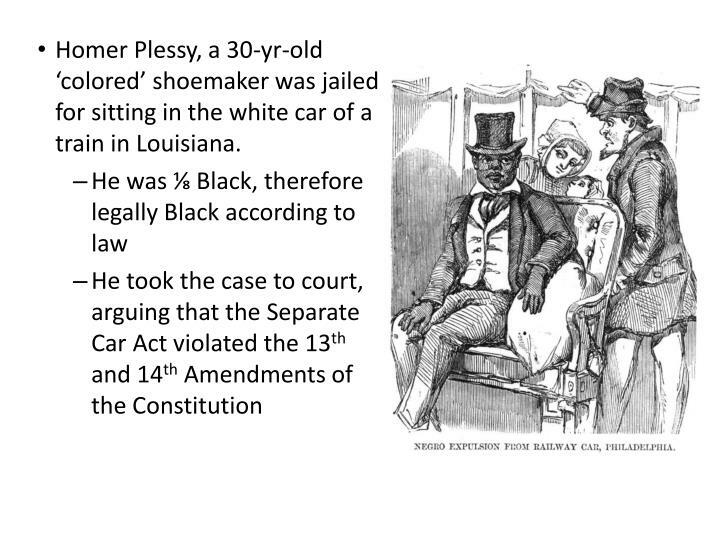 Homer Plessy, a 30-yr-old ‘colored’ shoemaker was jailed for sitting in the white car of a train in Louisiana. 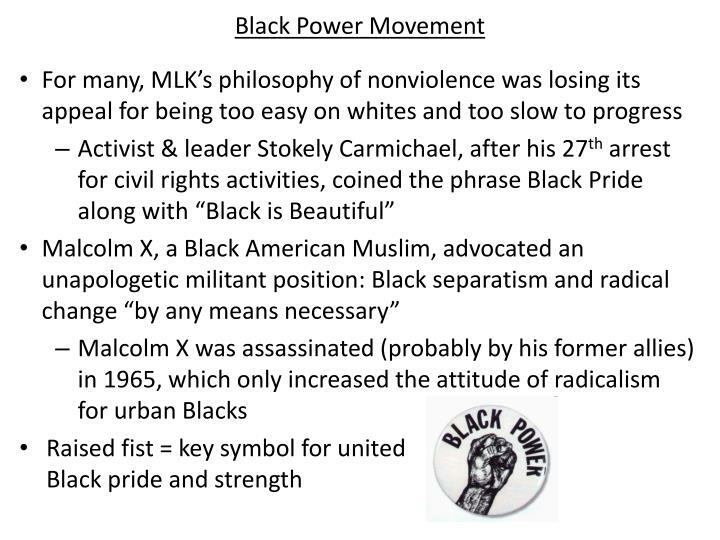 racist portrayal of Black people. 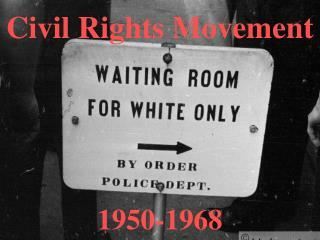 Civil disobedience = challenging unjust laws by refusing to comply, regardless of the consequences to oneself. 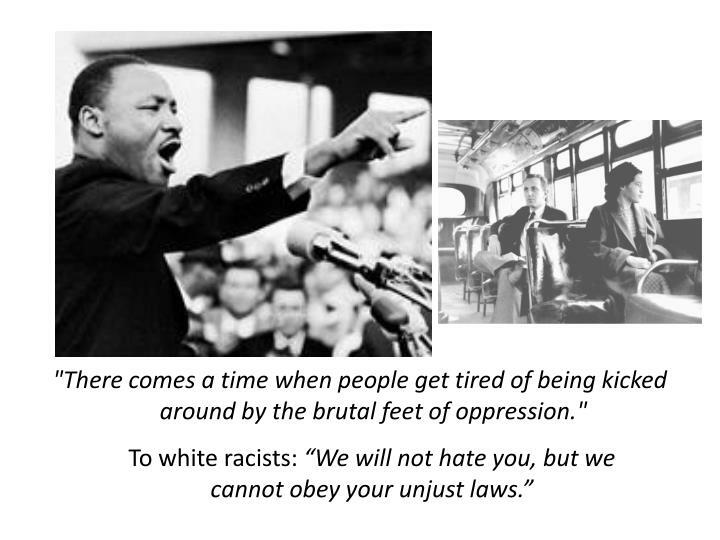 "There comes a time when people get tired of being kicked around by the brutal feet of oppression." 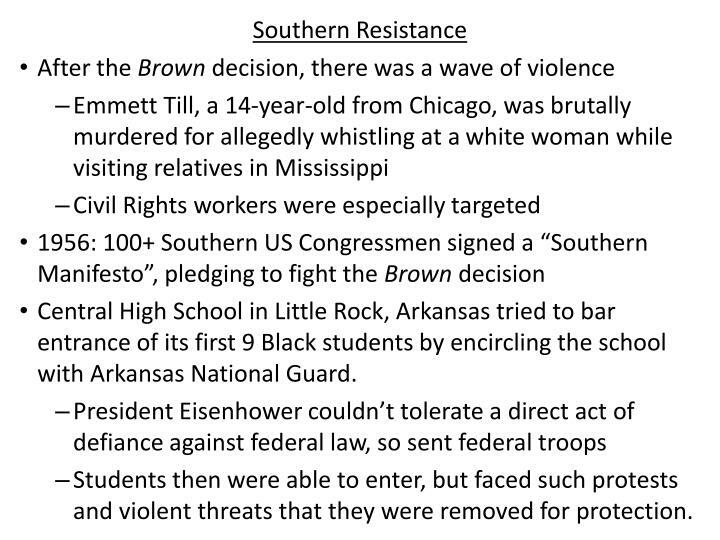 Central High School in Little Rock, Arkansas tried to bar entrance of its first 9 Black students by encircling the school with Arkansas National Guard. 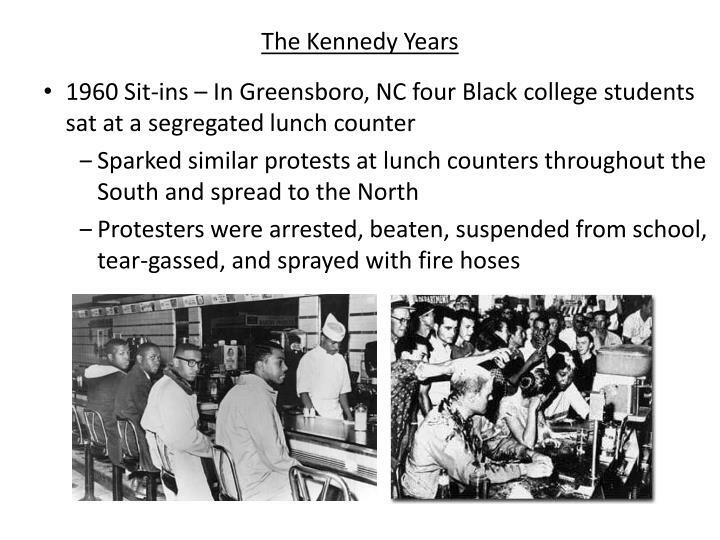 Students then were able to enter, but faced such protests and violent threats that they were removed for protection. 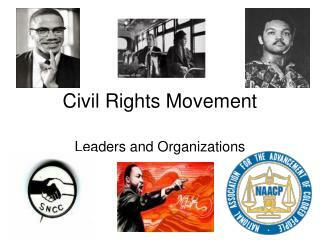 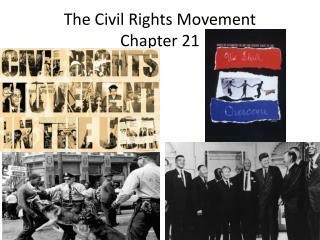 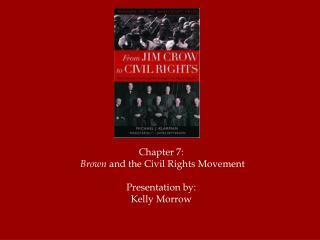 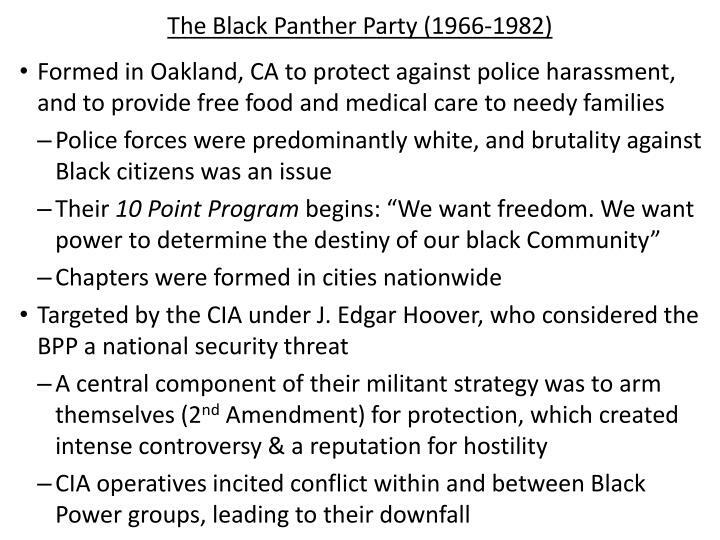 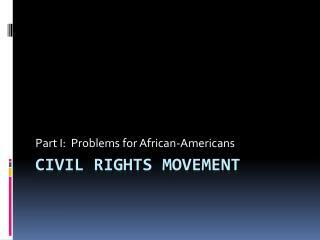 Civil Rights Movement -Part i: problems for african-americans. 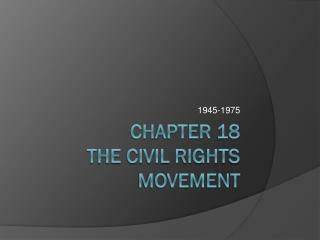 civil rights movement. 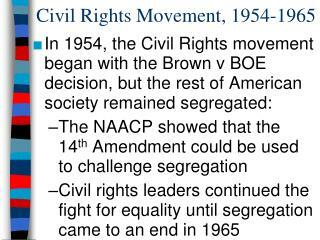 1. jim crow laws. 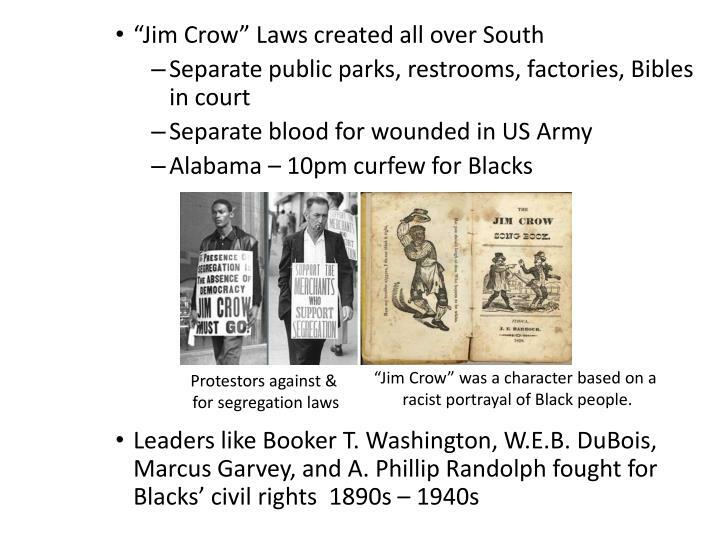 after reconstruction, many southern governments passed “ jim crow ” laws that forced the separation of the races in public places . 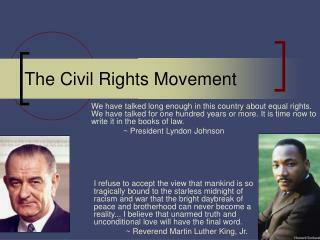 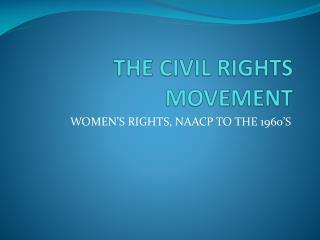 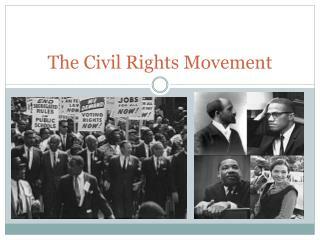 Civil Rights Movement -. 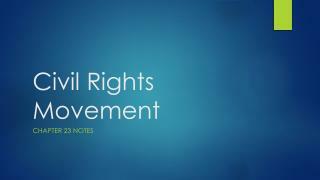 civil rights movement . struggle for african americans to get equal rights led to later efforts by women, other ethnic minorities, the disabled, the young, and the old to obtain equal rights. 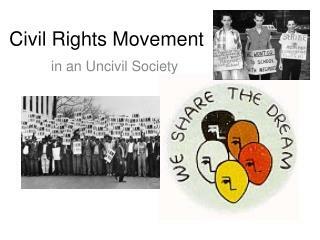 civil rights movement. 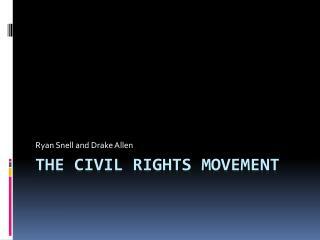 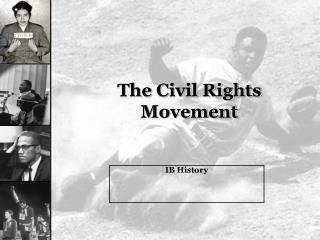 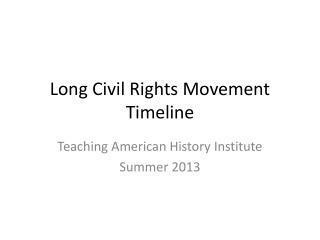 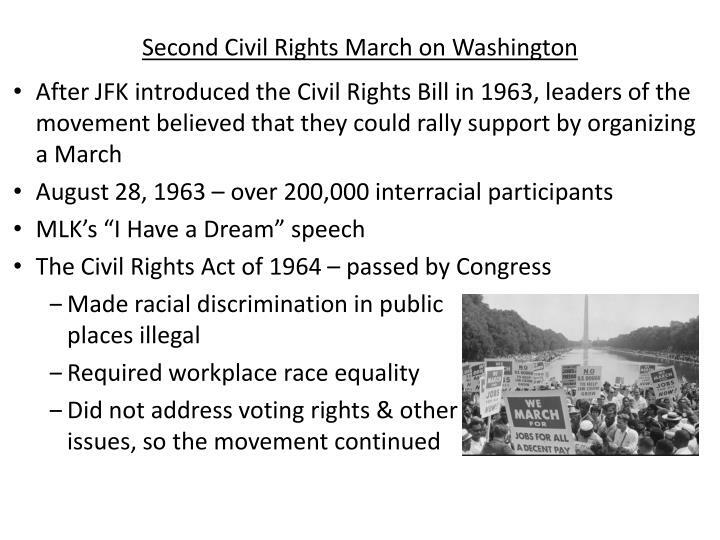 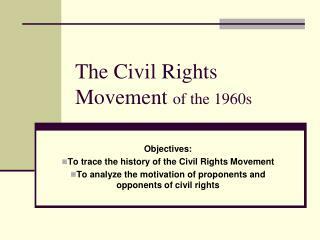 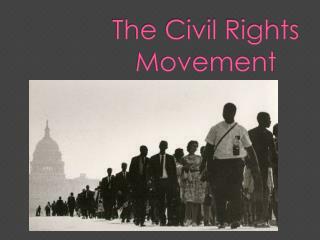 The Civil Rights Movement -. 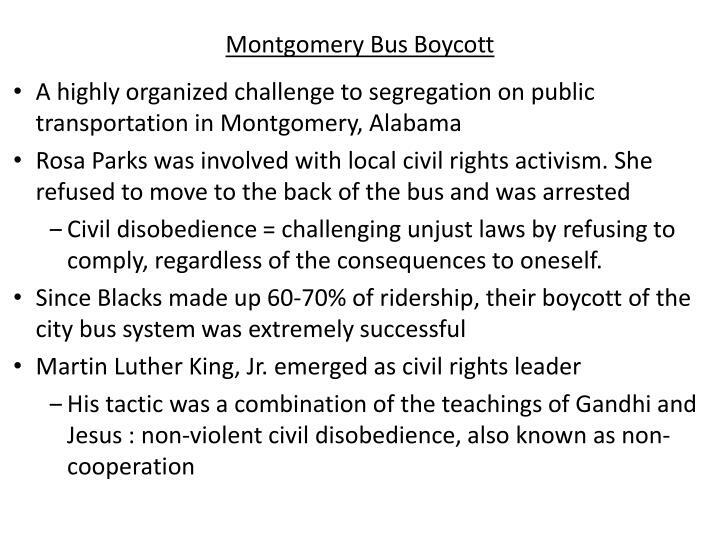 goals of the movement. 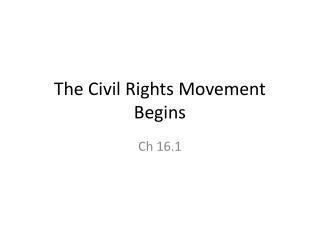 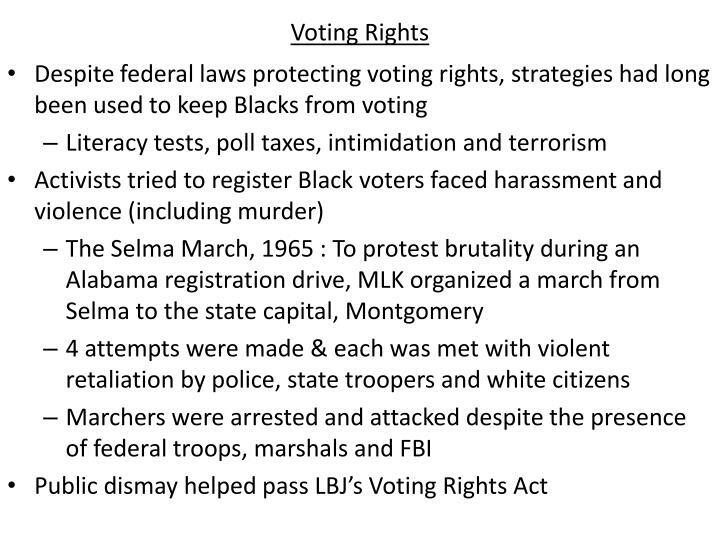 meaningful civil rights laws full and fair employment decent housing the right to vote integrated education / schools end racial discrimination equal civil rights for every ethnic group.